Patterned Imprinted Concrete is a revolutionary skilled technique. It incorporates colours and patterns to freshly poured concrete on driveways, paths & patios. This re-creates the look of authentic materials such as stone, slate, cobbles, bricks and timber. Our process avoids the associated high cost of these natural products. 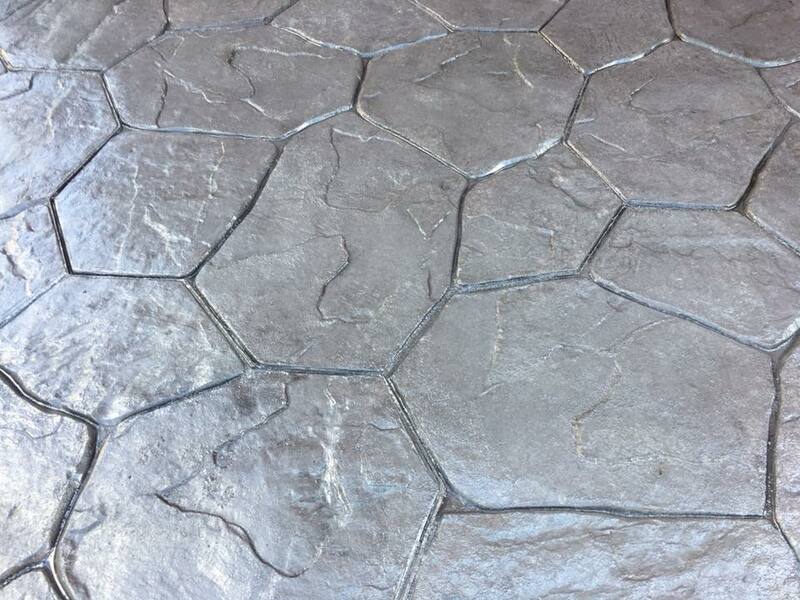 Patterned Concrete is a unique product that requires minimal maintenance. Its performance is superior to alternative products like paving, tarmac and flagstones. A compacted sub-base and fibre reinforced concrete eliminates many problems. These include sinking, weeds and moss that are attributed to alternative products. Driveway and Decking Co are your local block paving specialists. Our paving, decking and patio solutions will transform and add value to your home. We’ve developed the ultimate paving system to install beautiful, virtually maintenance free drives. Choose from a wide range of block paving, pattern imprinted concrete designs and colours to match your desired style. We design and construct decking solutions to provide a continuation of the living space within your home, out into the garden. Our designs will provide a unique outdoor living space year round, incorporating accessories such as planters, benches, pergolas etc. if you wish, and will blend seamlessly into your gardens individual landscape. Our decking comes pressure treated, with a 15 year Tanalith guarantee, and is virtually maintenance free. All work is carried out by our highly skilled professionals to British Standards specifications. Treat yourself to a stylish, durable and easy to maintain patio. We can create a patio to accommodate any size and shape area. The perfect place to entertain friends and unwind. Individually designed to suit your property. We offer a permanent, rapid installation of your new drive which is easy to clean, with a non-porous surface. Add character and value to your home. We offer a full design and installation service to create a wonderful decking area, built to your requirements. Turn unused space into a fantastic outdoor area for friends and family to enjoy.